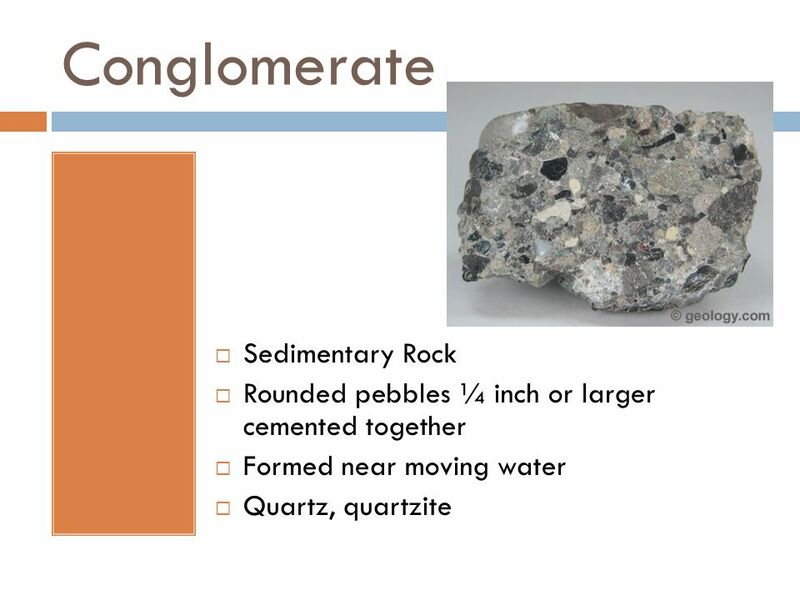 Liz LaRosa http://www.middleschoolscience.com 2009 Rock identification Liz LaRosa http://www.middleschoolscience.com 2009. 2 What type of rock is this? Where or how is it formed? 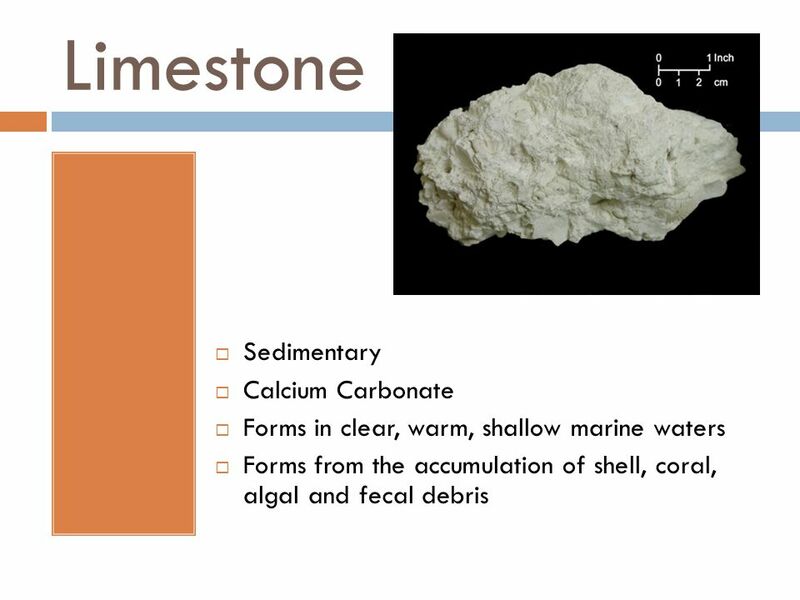 4 What type of rock is this? 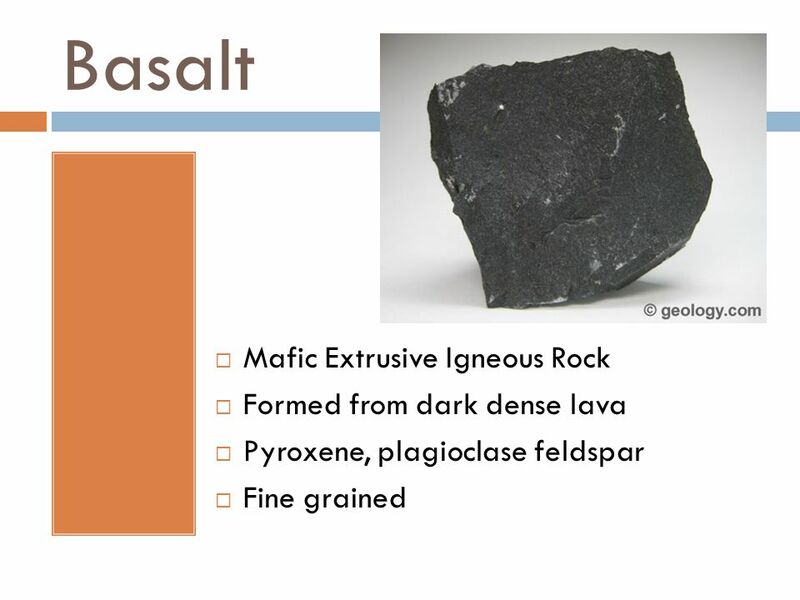 Where or how is it formed? 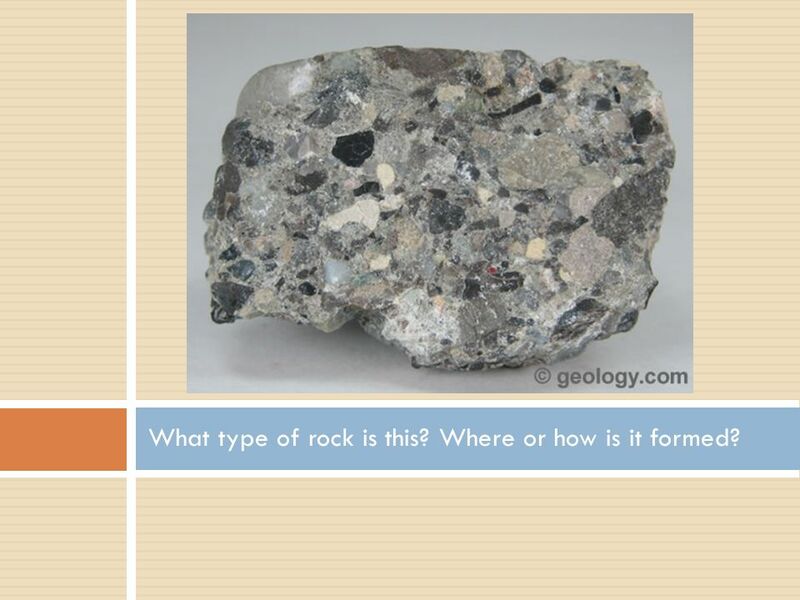 6 What type of rock is this? Where or how is it formed? 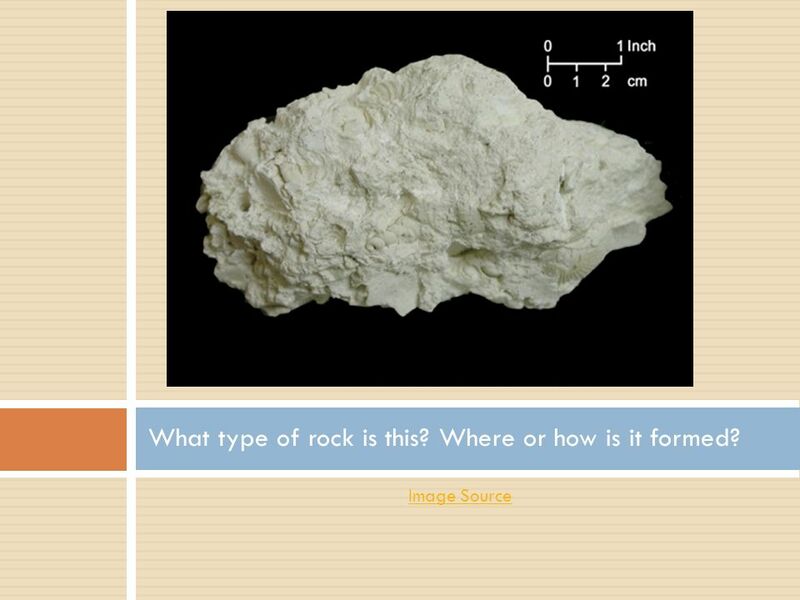 8 What type of rock is this? 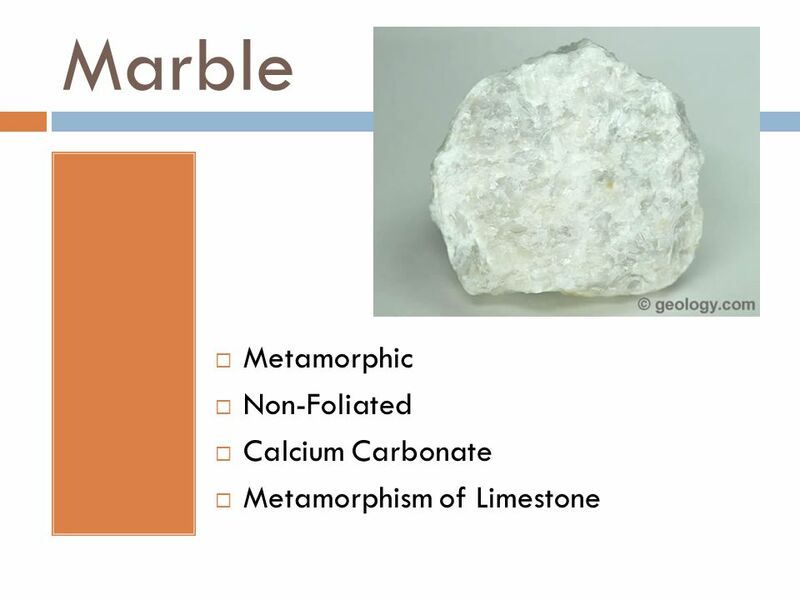 Where or how is it formed? 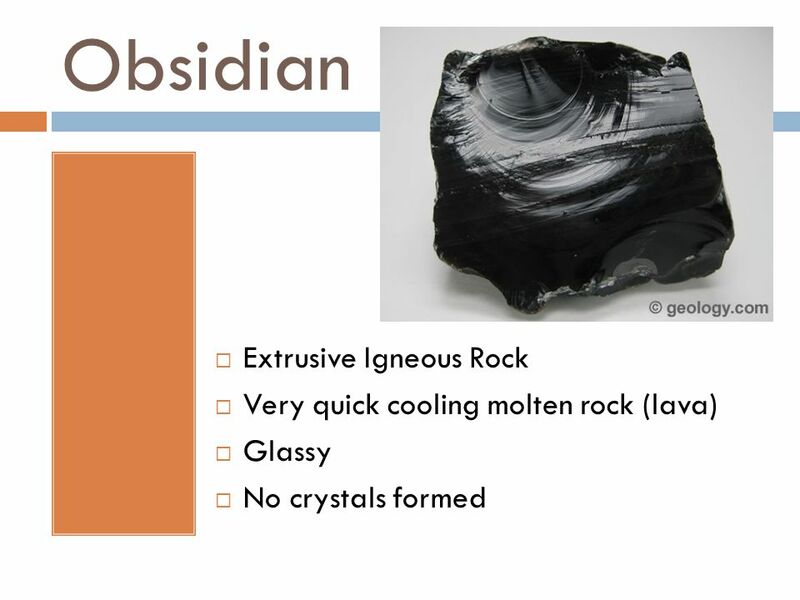 10 What type of rock is this? 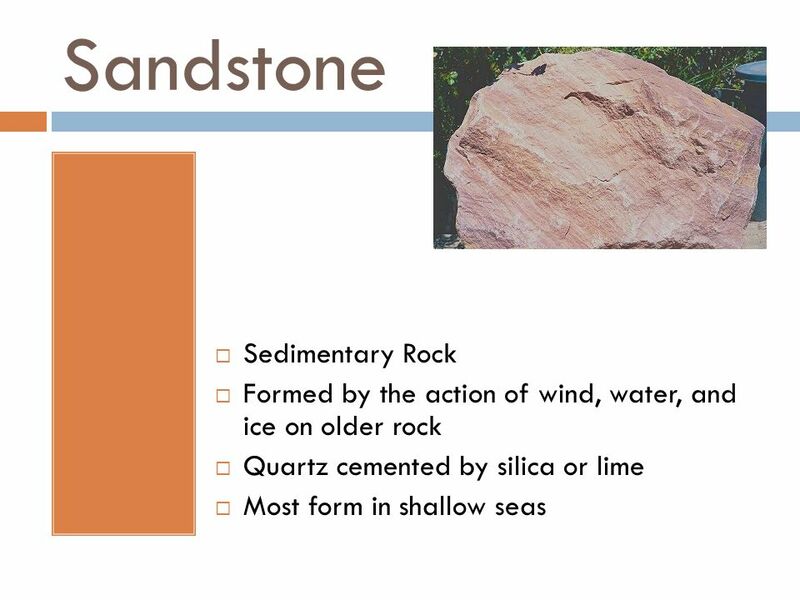 Where or how is it formed? 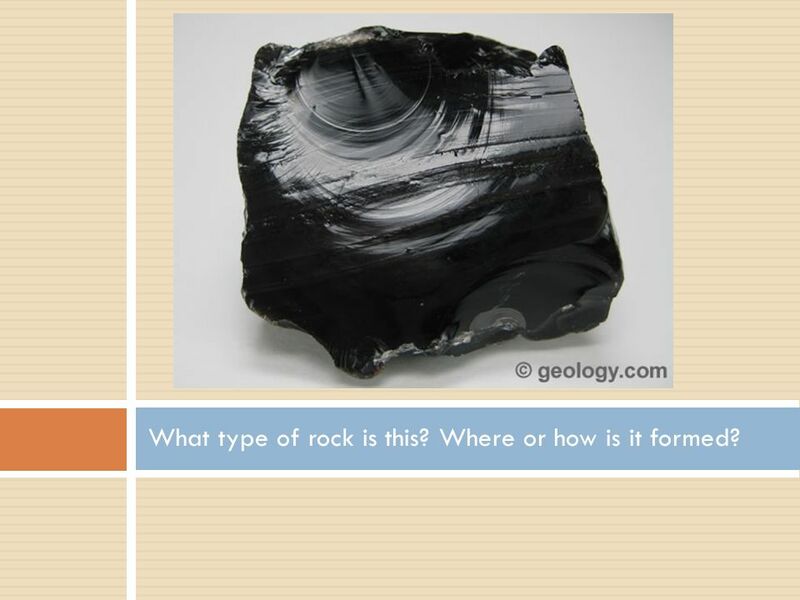 12 What type of rock is this? Where or how is it formed? 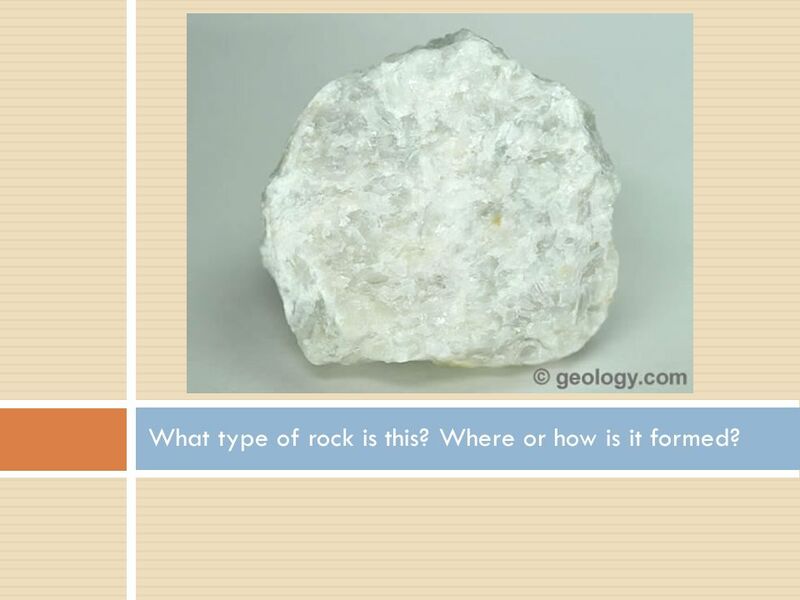 14 What type of rock is this? 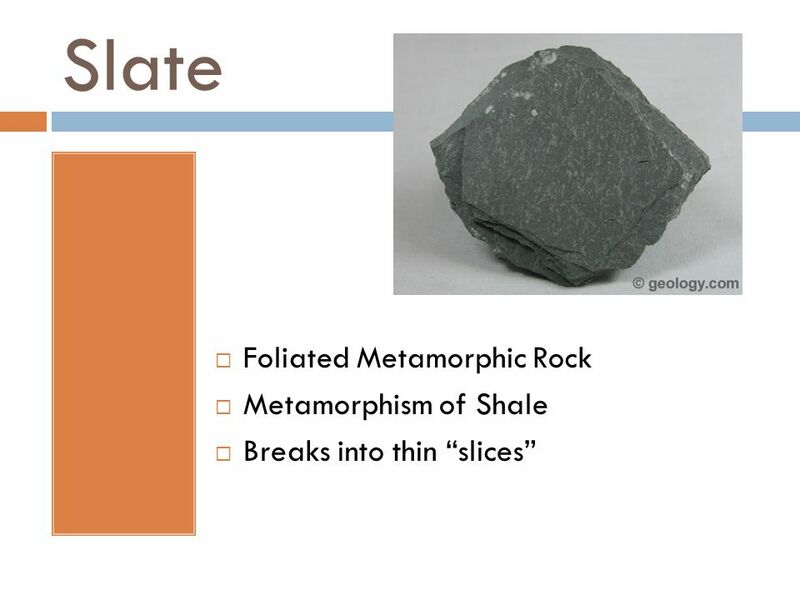 Where or how is it formed? 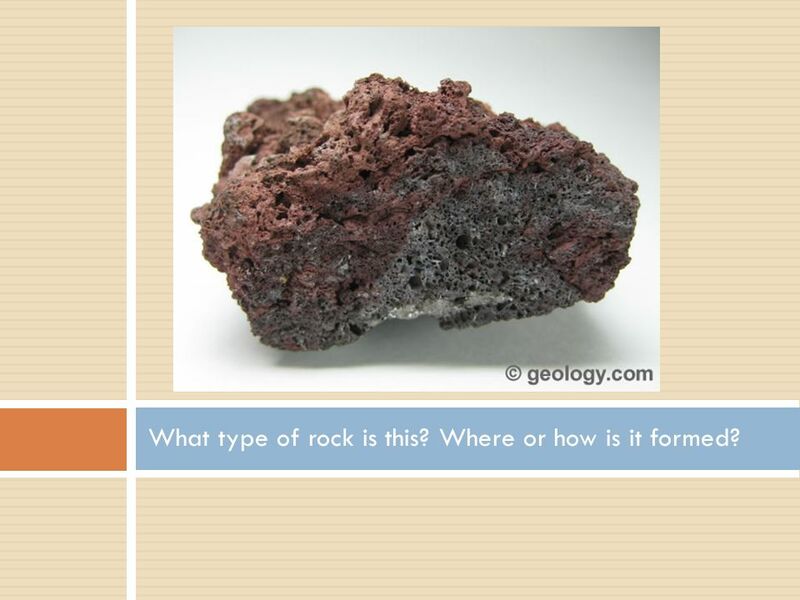 16 What type of rock is this? Where or how is it formed? 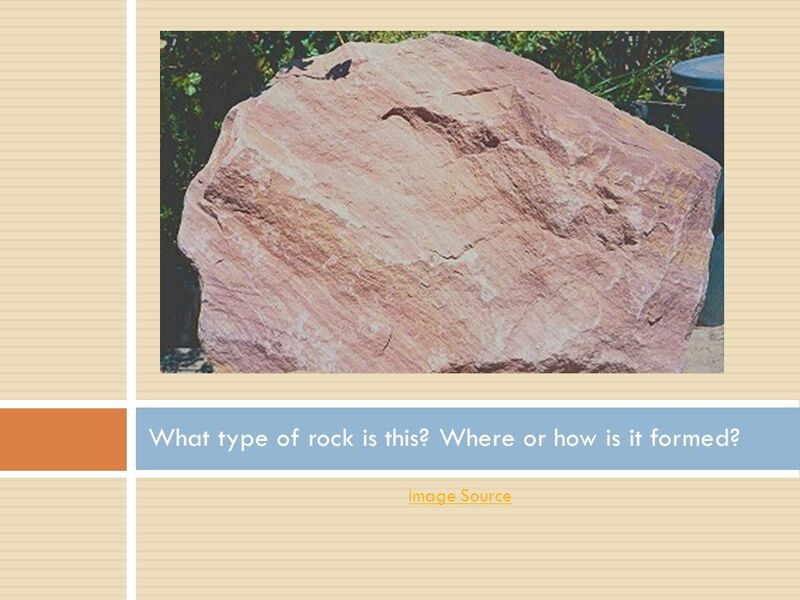 18 What type of rock is this? Where or how is it formed? 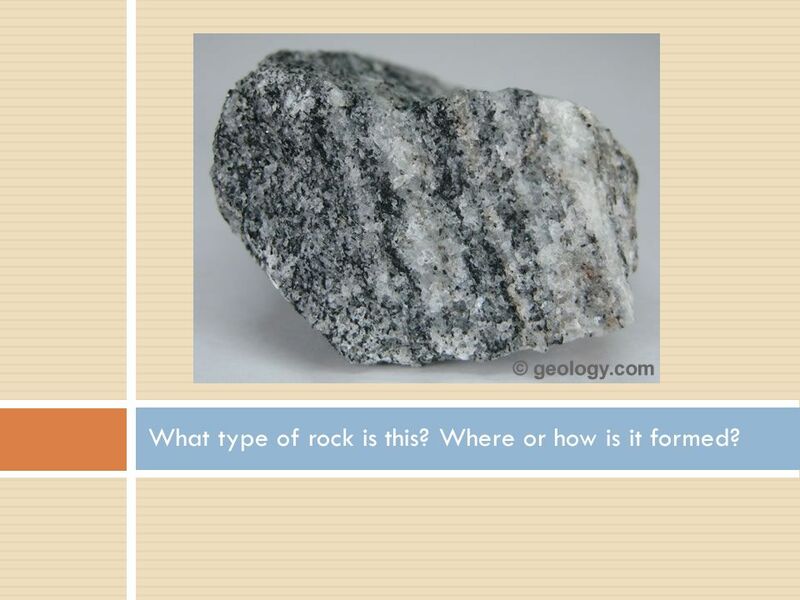 20 What type of rock is this? 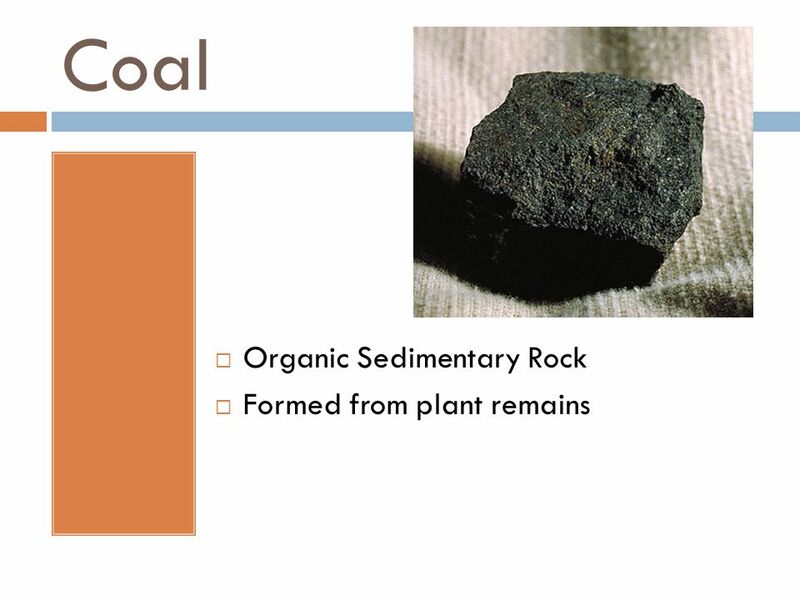 Where or how is it formed? 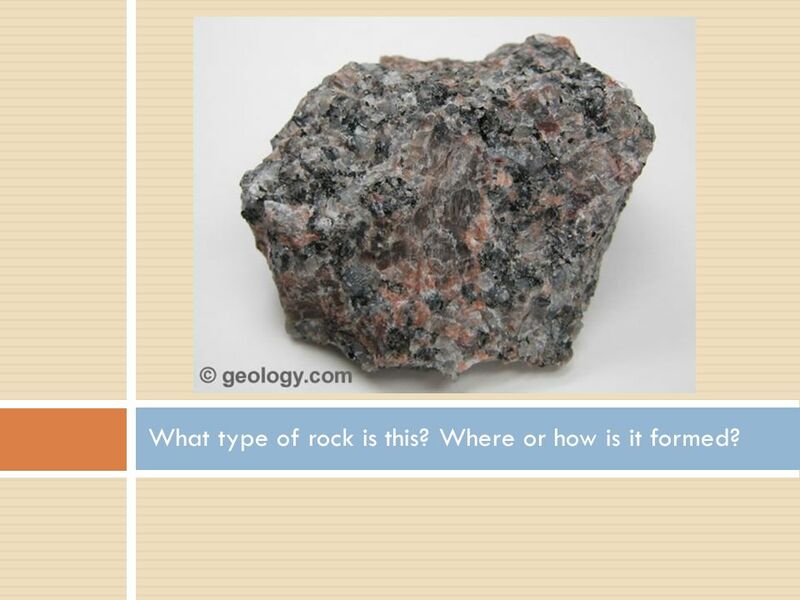 22 What type of rock is this? Where or how is it formed? 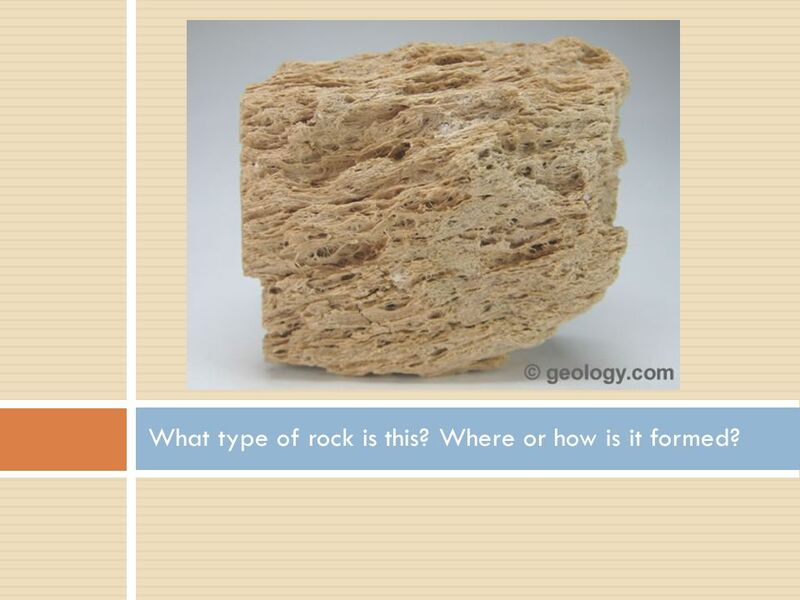 24 What type of rock is this? Where or how is it formed? 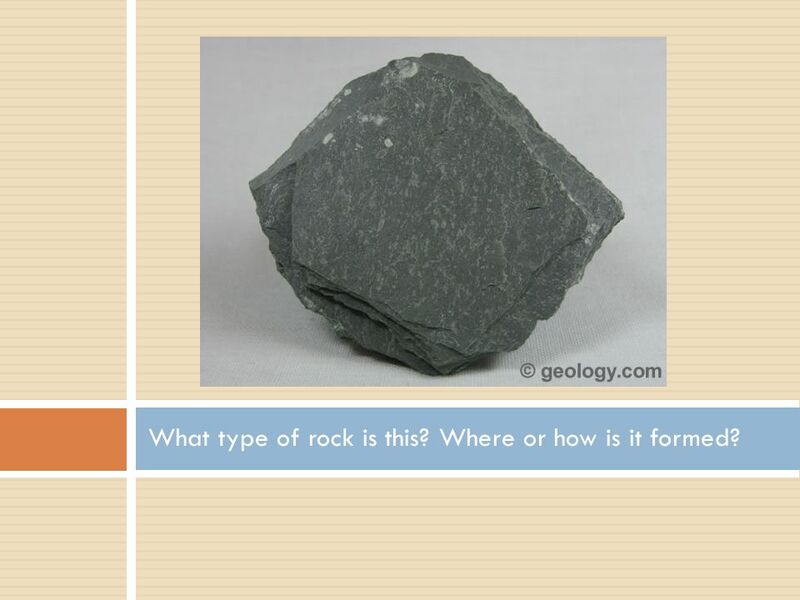 26 What type of rock is this? Where or how is it formed? 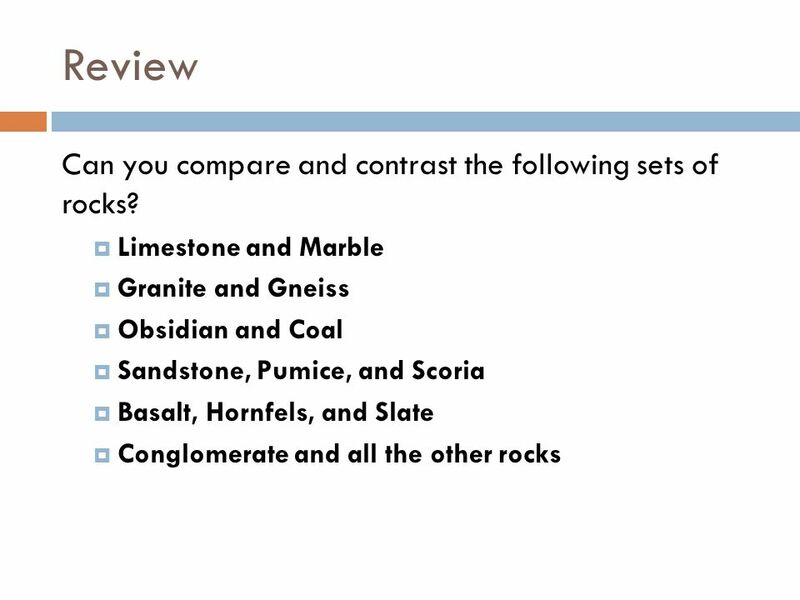 28 Review Can you compare and contrast the following sets of rocks? 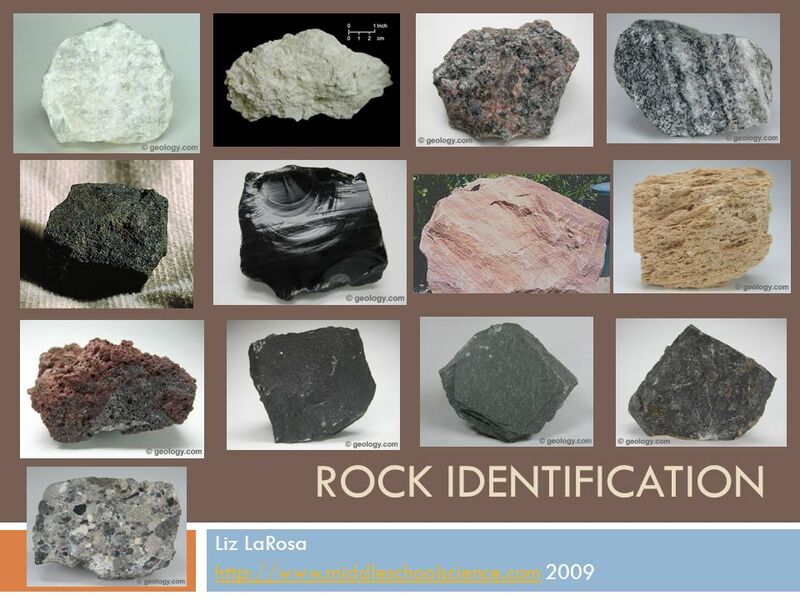 Download ppt "Liz LaRosa http://www.middleschoolscience.com 2009 Rock identification Liz LaRosa http://www.middleschoolscience.com 2009." 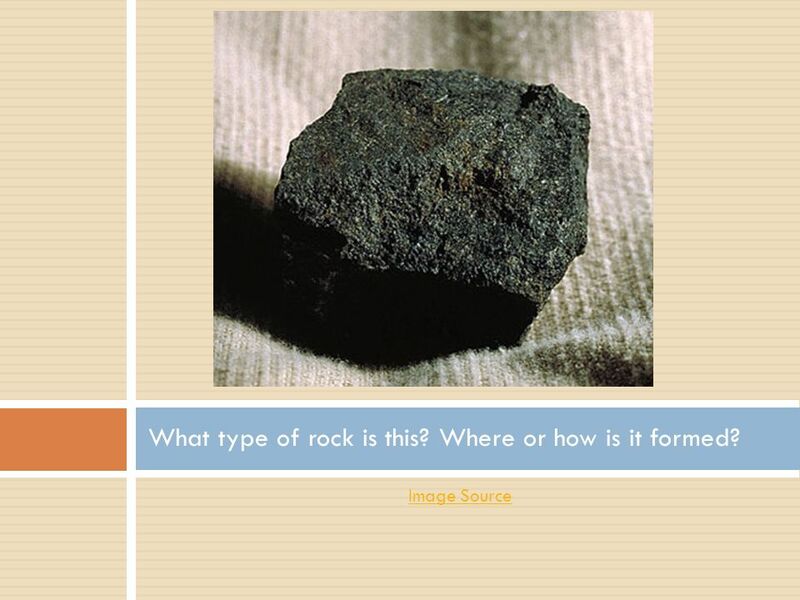 ROCK IDENTIFICATION LAB. 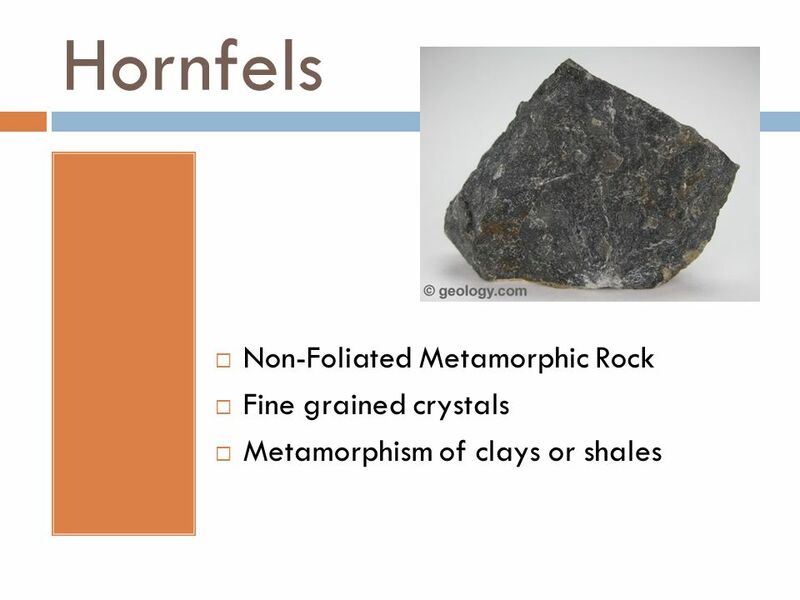 What type of rock is this? Where or how is it formed? 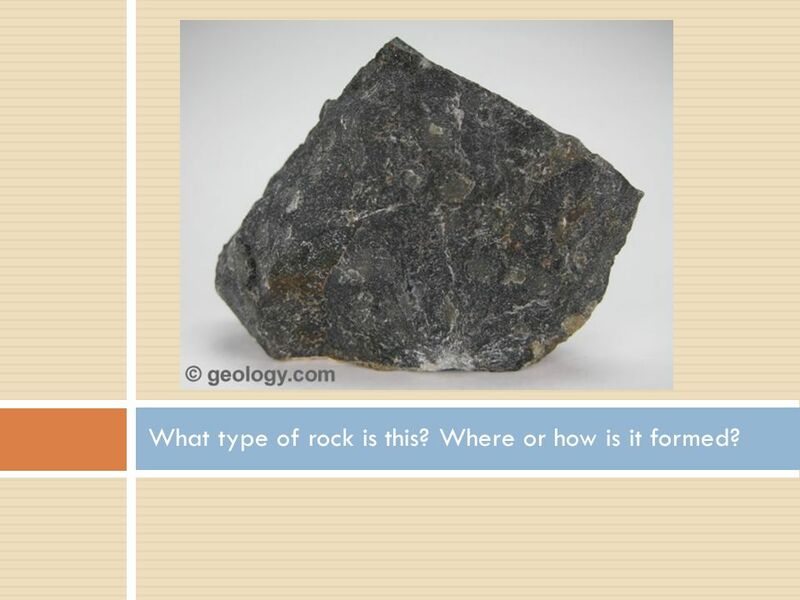 Types of Rocks Test Mr. Barr. Liz LaRosa 2010http:// Images from Geology.com unless otherwise noted. 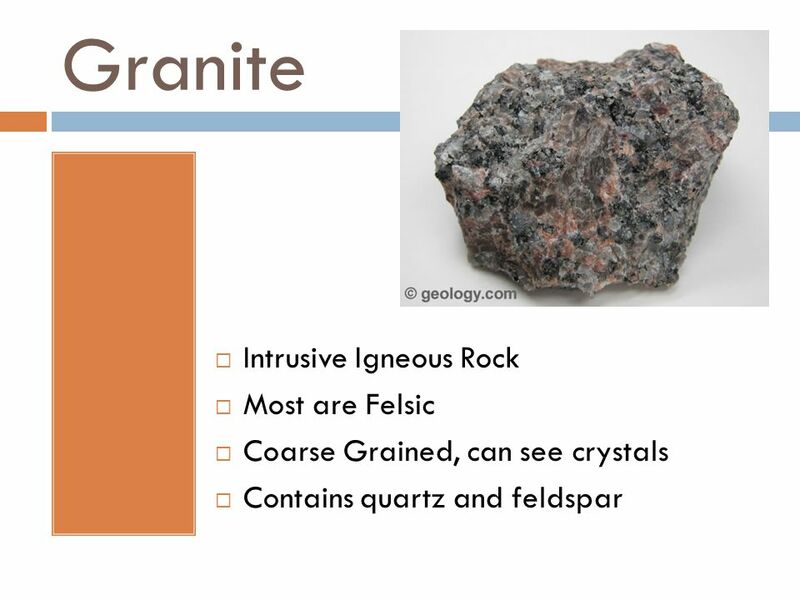 Extrusive Intrusive Granite is a coarse-grained, light colored, intrusive igneous rock that contains mainly quartz and feldspar minerals. 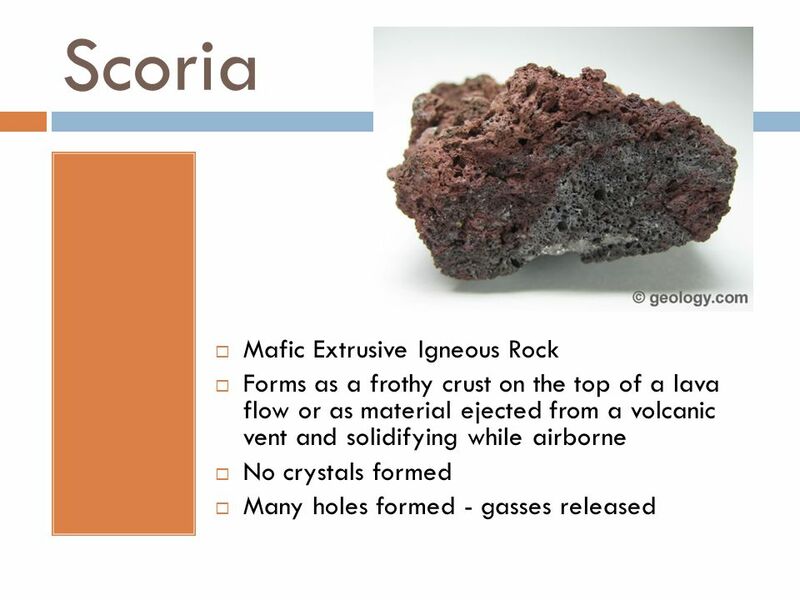 Igneous Rocks From lava or magma Can be either extrusive (formed on Earth’s surface, from lava) Or intrusive (formed inside of the Earth’s surface, from. Do now! Can you complete the experiment sheet we did last lesson? Interesting scientist. 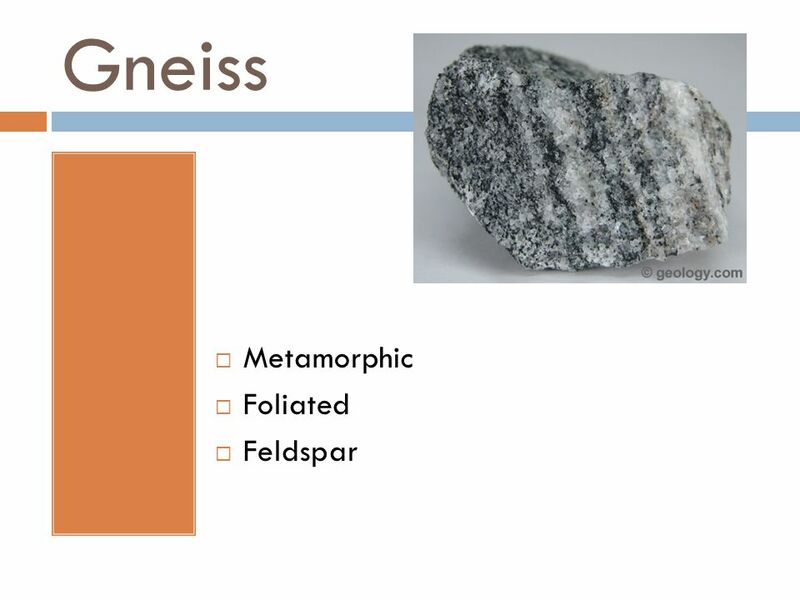 Rock cycle song Magma rises to form igneous rock It breaks down by weathering and erosion It washes away by wind and water, it washes away by. 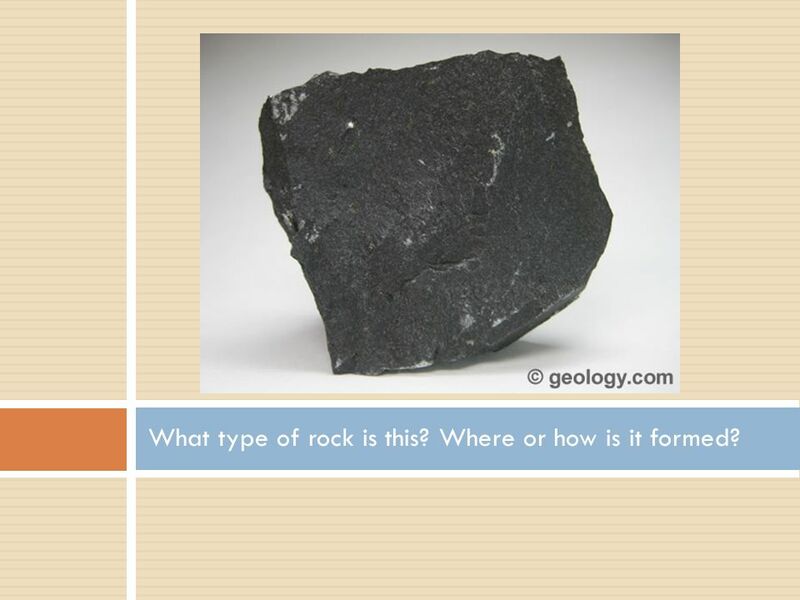 Earth Science Rocks!!. 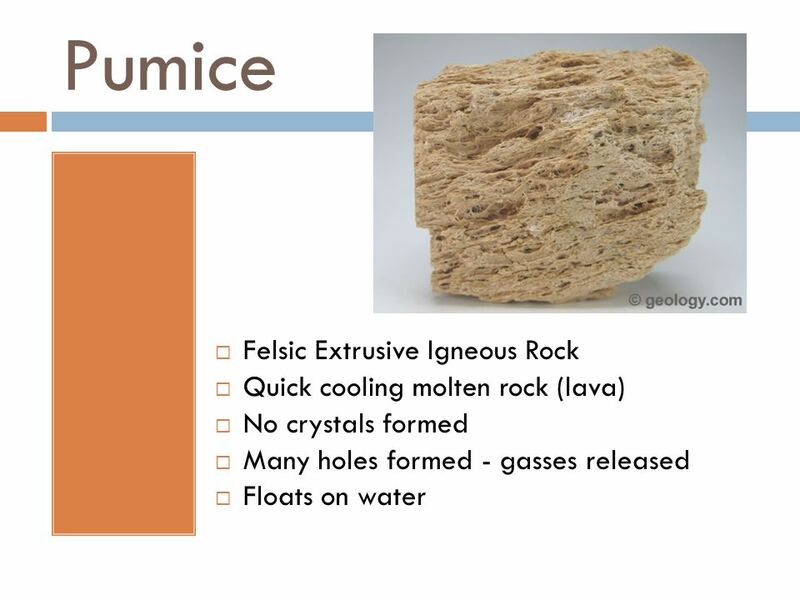 How Igneous Rock Is Formed  They are formed by the crystallization of magma or lava  Igneous rocks may form deep inside the Earth.